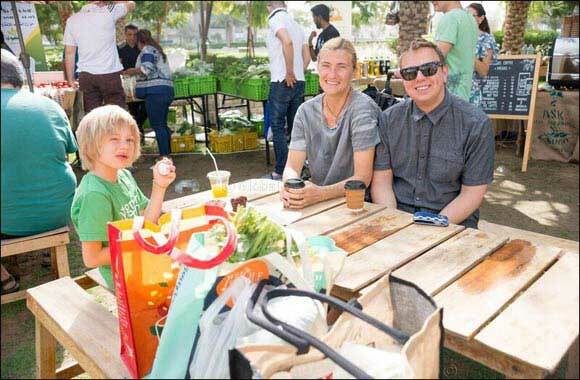 Dubai, UAE, December 21, 2016: Leading Dubai-based real estate master developer and asset manager Dubai Properties (DP) has announced the return of The Farmers’ Market at Bay Avenue Retail Promenade every Friday, 8:00am to 1:00pm, from now on until May 2017. In partnership with Baker & Spice, an award-winning food shop and artisan restaurant and Taj Dubai Hotel in Bay Avenue, DP will host farmers from all over the UAE who will once again descend upon the 8th Farmers’ Market for the season with stalls bursting with daily picked, organic produce and seasonal ingredients. This community-led initiative, that gives visitors not only the chance to buy delicious farm-fresh goods directly from the people who are growing them but to also to spend a fun-filled day at Bay Avenue. The Farmer’s Market will host a number of family-friendly activities including live cooking demonstrations from Taj Hotel’s head chefs, as well as kids’ dance classes in the park by fitness and dance studio GFX. Bay Avenue offers plenty of parking which is free before 1:00pm on Fridays and is a short walking distance from the Business Bay metro station.